Apples walk away with most health accolades, and spinach leads the healthy veggie brigade. 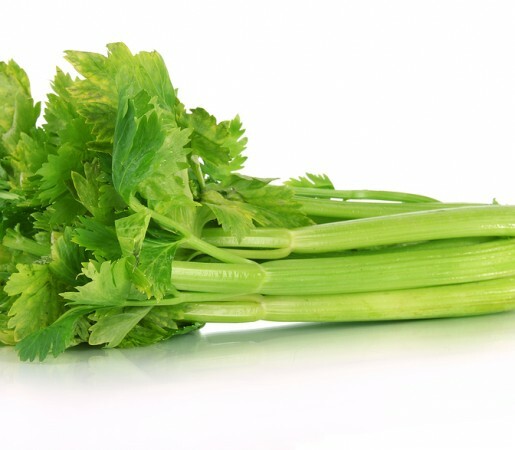 Compared to them, celery is somewhat unsung, but once you read its incredible–and nearly endless–list of health benefits, you will quickly join its growing list of lovers. Celery is a great choice if you are watching your weight. One large stalk contains only 10 calories! So, add celery to your shopping list and enjoy it in your salads, soups and stir-fries. Celery reduces inflammation. If you are suffering from joint pains, lung infections, asthma, or acne, eating more celery will bring much-needed relief. It helps you calm down: Celery for stress-relief? Oh yes! The minerals in celery, especially magnesium, and the essential oil in it, soothe the nervous system. If you enjoy a celery-based snack in the evening, you will sleep better. It regulates the body’s alkaline balance, thus protecting you from problems such as acidity. Celery aids digestion: some say celery tastes like “crunchy water,” and that is the reason it is so good for your digestive system. The high water content of celery, combined with the insoluble fiber in it, makes it a great tool for easy passage of stool. Note: because celery has diuretic and cleansing properties, those with diarrhea should avoid eating it. It contains “good” salts. Yes, celery does contain sodium, but it is not the same thing as table salt. The salt in celery is organic, natural and essential for your health.